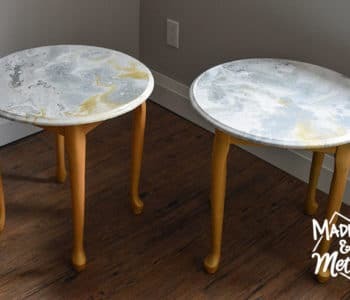 Do you like desserts and special treats!? 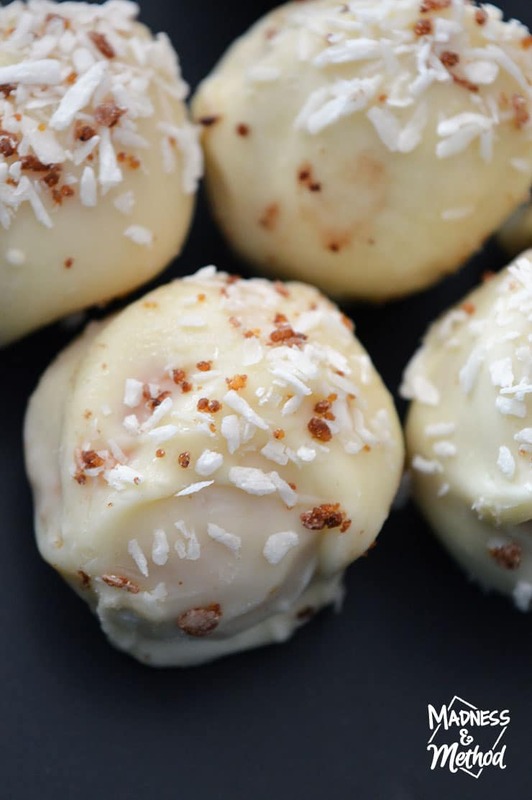 For the holidays this year I made some yummy white chocolate coconut truffles – and they turned out great! 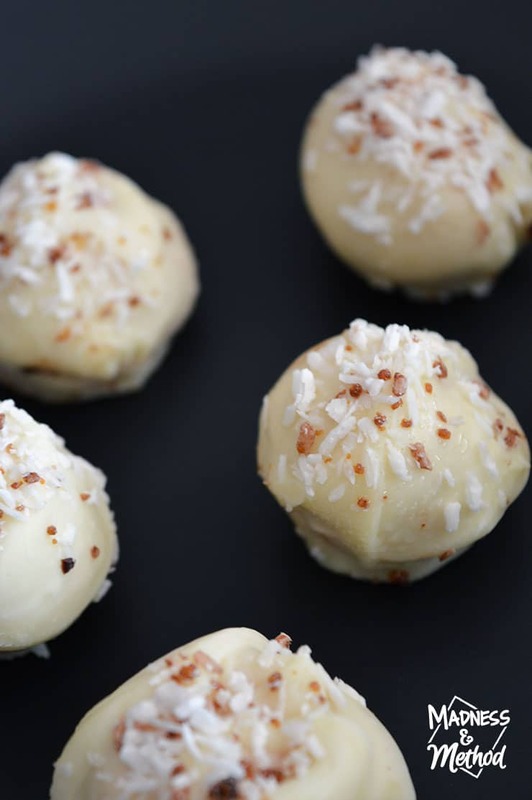 When I shared the gifts we gave for Christmas this year, I mentioned that I had made some yummy truffles. 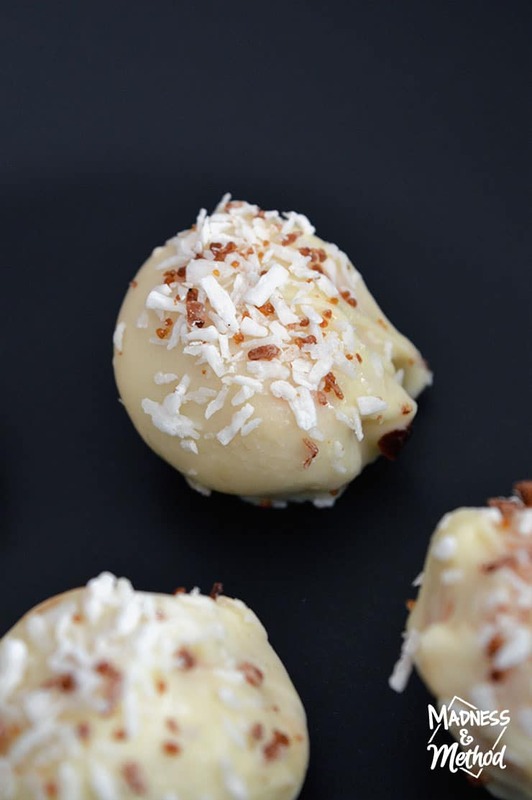 Today I’m going to link to all the different recipes that I made AND share my own concoction for some white chocolate coconut truffles. Let’s dive in! A few years ago I had made a bunch of truffles for Christmas, and I wanted to do the same thing this year (but with different flavour combinations). 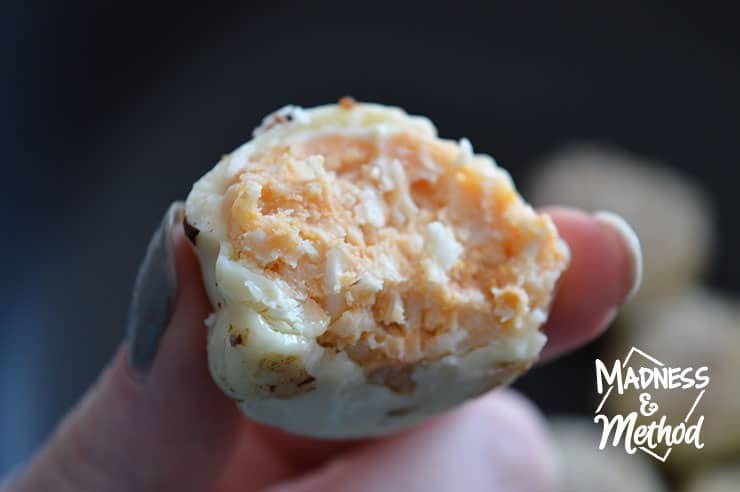 I actually used the same topping from the Nanaimo balls (which is why there are dark specks), and sort of based my recipe on the Turtle balls – but they turned out great! For the filling, I used some graham cracker crumbs because it’s what I had on-hand, but you could substitute for vanilla cookies if you wanted whiter truffles. Oh, and I did have a bit of a panic when I was making these (my last batch) and I ran out of white chocolate! I had to quickly run to the store for another package, but it all worked out in the end. 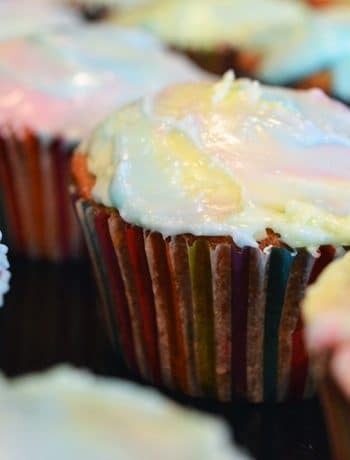 I used unsweetened coconut. If mixture is too wet/doesn't form nice balls, add a bit more coconut and/or icing sugar if needed. 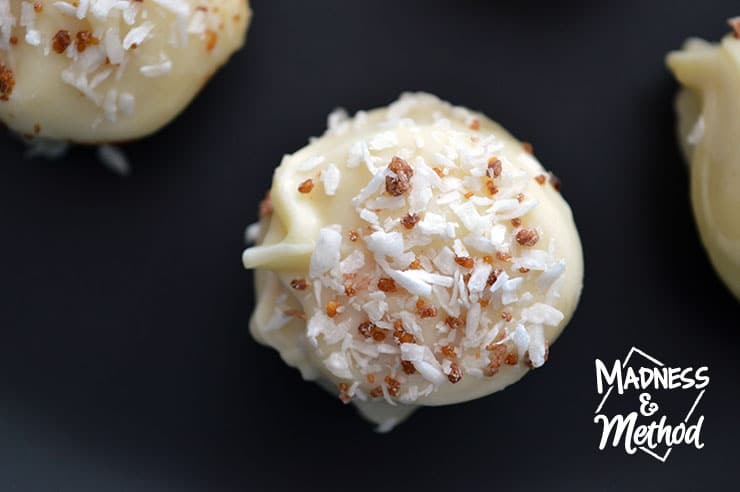 I hope you enjoy this recipe for white chocolate coconut truffles, I’ll definitely be making them again! I mean, probably not soon because the Husband wants a break from all the holiday desserts… but maybe for the next holiday or special occasion!? 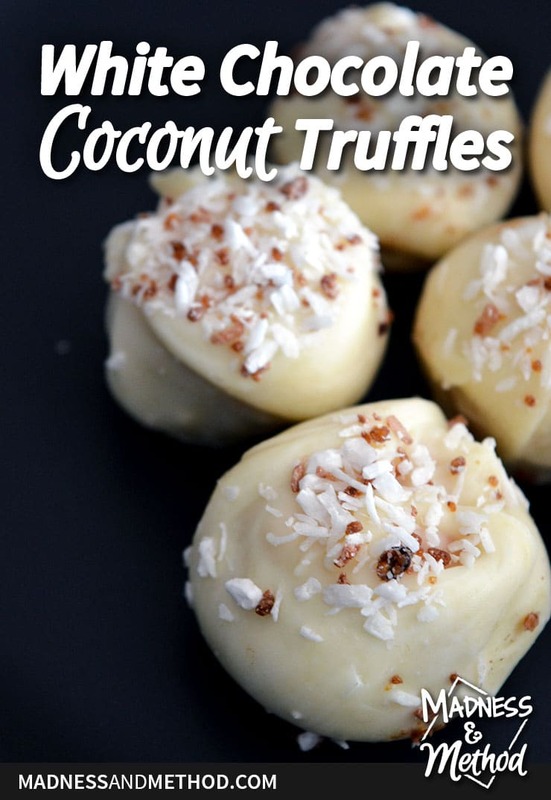 Love truffles and/or desserts? 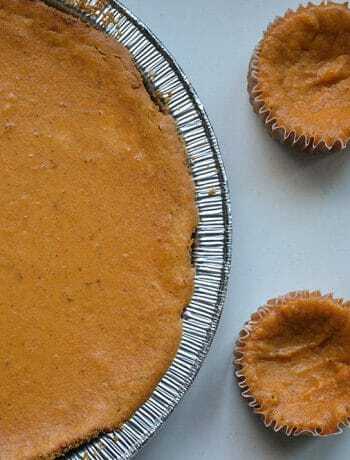 Check out my Delicious Desserts Pinterest Board for even more goodies!